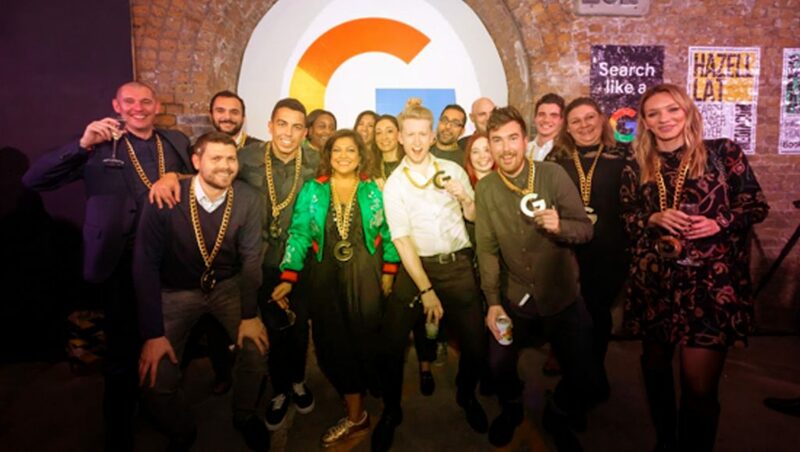 Google marked the 20 year anniversary of Google Search last night at an event where a new series of short films ‘Search like a G’ starring internet entrepreneur Chabuddy G of BBC Two’s People Just Do Nothing, was premiered. The event honored the work of the brightest and best search strategists in the industry. It gave recognition to paid search marketing experts behind the magic and science of search – known as the “Searchies” – with 20 Searchies celebrated on the night. The highlighted Searchies were chosen by peer nomination in the industry. Ronan Harris, Vice President & MD UK & Ireland at Google commented, “Twenty years on from the birth of Google Search, life without it is unimaginable for consumers and businesses. It continues to play a vital role in connecting brands with their audiences and driving tangible business growth. Ronan added, “The unsung heroes behind the success of Google Ads are the search strategists across the industry whose expertise and hard work demonstrates how valuable search can be for businesses when used to its full potential. The Google Search Party was also celebrating two decades of search, which remains an indispensable tool for consumers and businesses alike. A recent report by Public First found that the economic activity in the UK generated by businesses using Google Search and Google Ads adds up to an estimated £55 billion.